Looking for a safe bet to quickly deliver technology solutions to your customers? Agile software development helps digital leaders go from concept to cash faster than ever. But when you choose your Agile technology partner, remember we’re not all the same. Businesses who want better alignment, cadence, and collaboration across their organization choose Scaled Agile Partners who are trained and certified in the Scaled Agile Framework (SAFe) – a knowledge base of proven, integrated techniques for implementing Lean-Agile software development and support at scale. 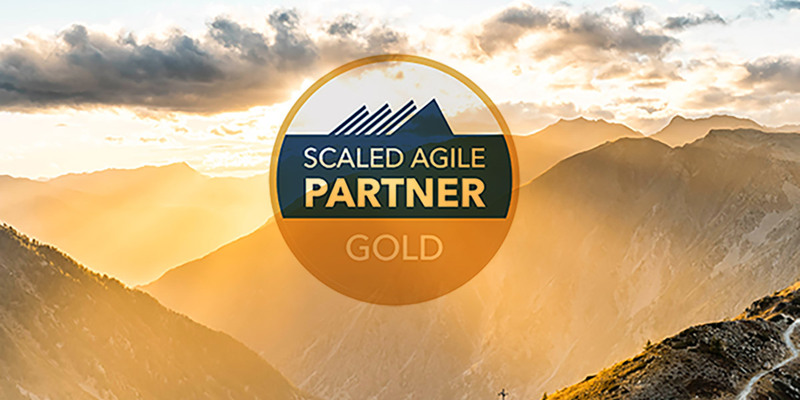 ICC is a SAFe Transformation Partner at the Gold level, which represents the most experienced Scaled Agile Partners who have mastered Agile transformation for our clients. Using the SAFe Agile Framework, you can create a continuous value stream that delivers new software capabilities at the speed of business. What took three to 12 months to obtain approval and funding for a project now takes only three to 12 weeks with the SAFe Agile model. With this approach, you already have the team in place and funded to work on the highest prioritized ideas. Scaled Agile Partners are uniquely qualified to support enterprises and government agencies through every phase of a Lean-Agile transformation. As a Gold Transformation Partner, ICC has special access to SAFe intellectual property, toolkits, enablement, and downloads for your successful Agile implementation. We also have priority access to Scaled Agile Fellows and other experts for consulting, training, and client site visits. Plus, ICC has our own Certified SAFe Program Consultants who offer “train the trainer” sessions when you want to build a SAFe Agile program of your own. Your customers also benefit when you choose a SAFe Gold Transformation Partner. You’ll be able to quickly offer them new products and services while delivering rapid response to their needs and requests. In a real-world example, we partnered with an ICC client in the information services industry to apply SAFe practices and principles to their planning and delivery. The results: 40 percent faster service delivery to their customers. Take the next step to deliver value faster and at scale. Feel free to email me at dgreenleaf@icct.com to schedule time with the SAFe Agile Framework Gold Partner of choice in the Midwest.